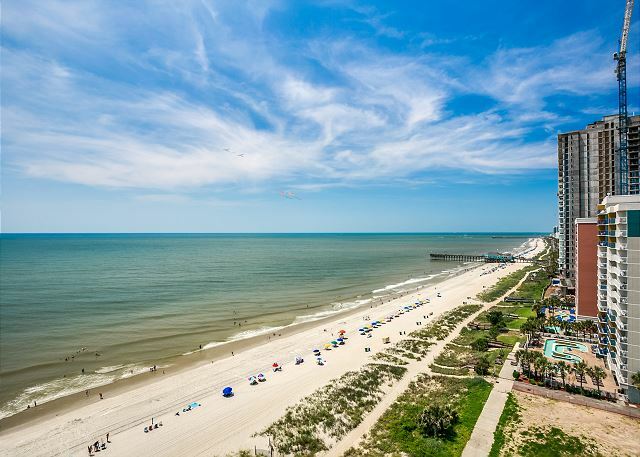 Come enjoy the sandy beaches of Myrtle Beach! 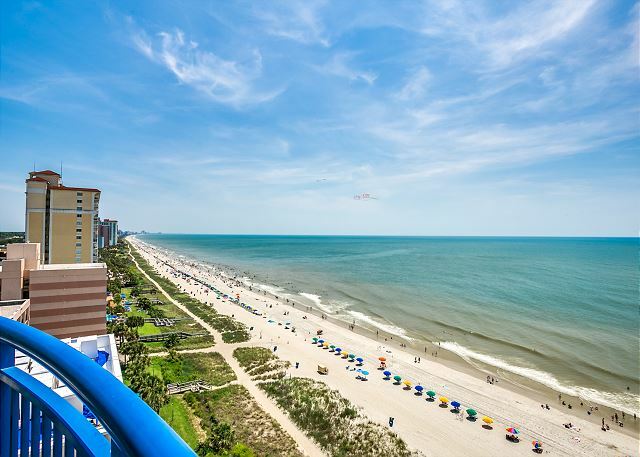 This two bedroom, 900 sq ft condo is newly updated with stylish decor, granite counter tops, and the view of Myrtle Beach from this large rounded balcony is amazing. 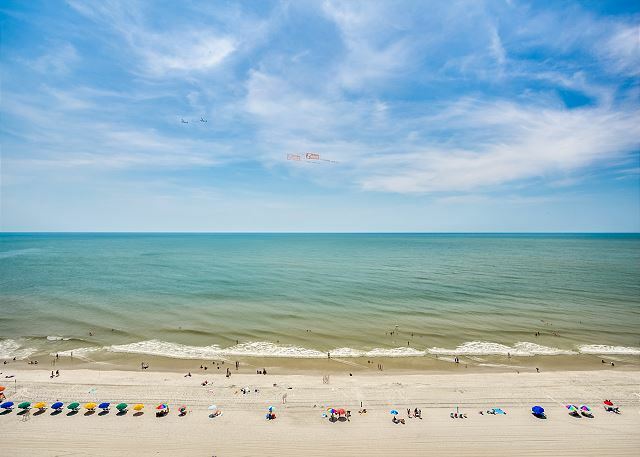 To the north you can see all the way to North Myrtle Beach, to the South you can see the Sky Wheel down the Grand Strand. 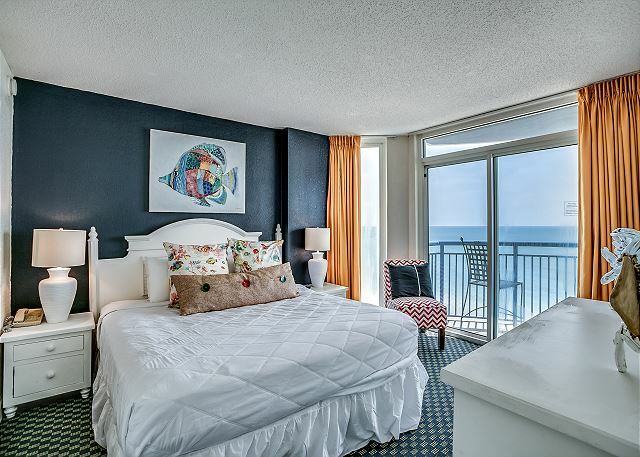 The view is breathtaking; balcony can be accessed from the living room and Master bedroom. 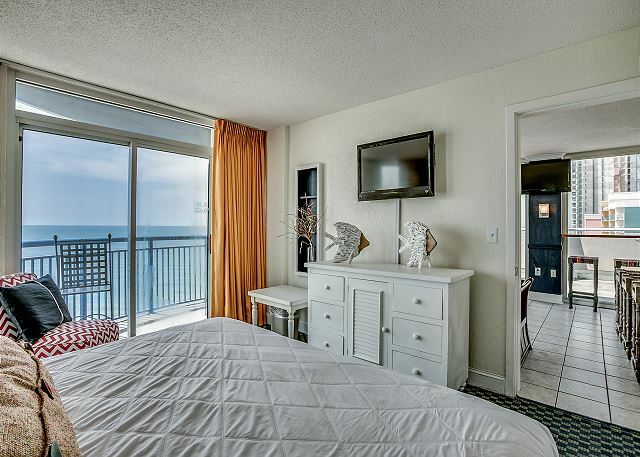 The master bedroom features a King size bed, flat screen TV, private restroom, and balcony access. 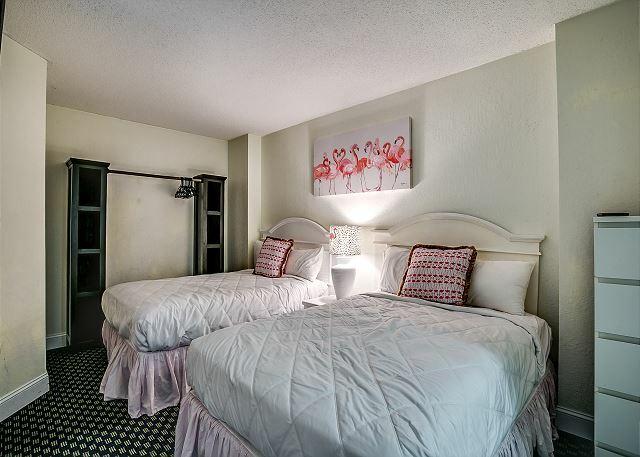 The guest room features 2 Queen size beds, flat screen TV, and access to the hallway restroom. For extra sleeping arrangements there is a sleeper sofa in the living room. 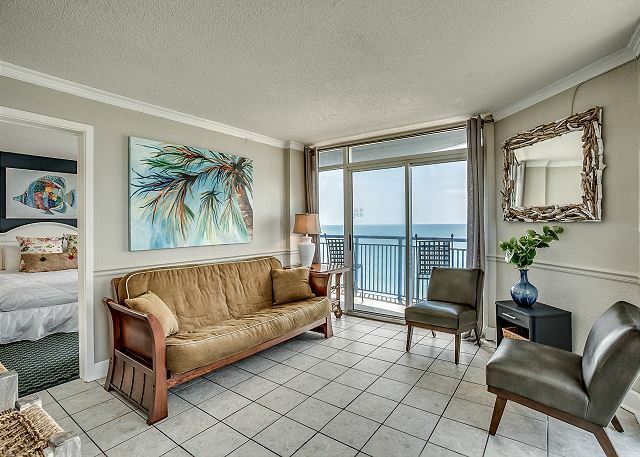 Comfortable, yet stylish decor and seating. 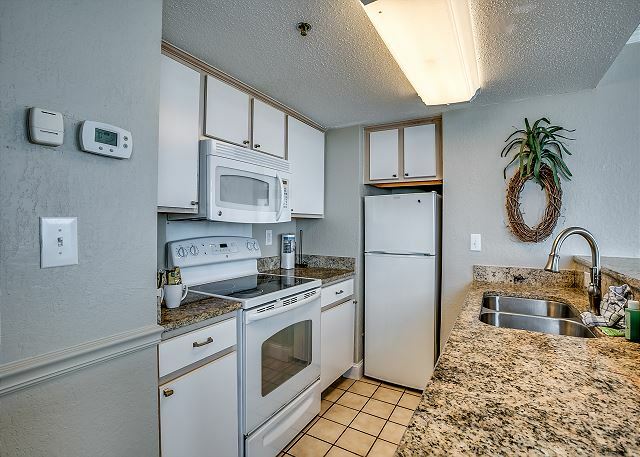 A fully stocked kitchen with appliances, cookware, utensils, everything you need to enjoy a family meal. 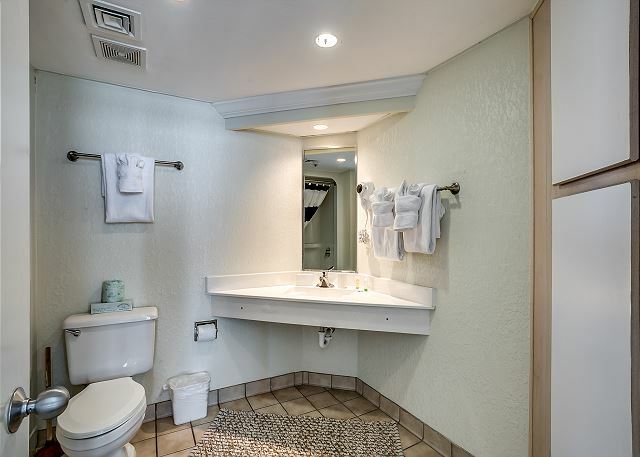 2 full bedrooms, 2 full restrooms. 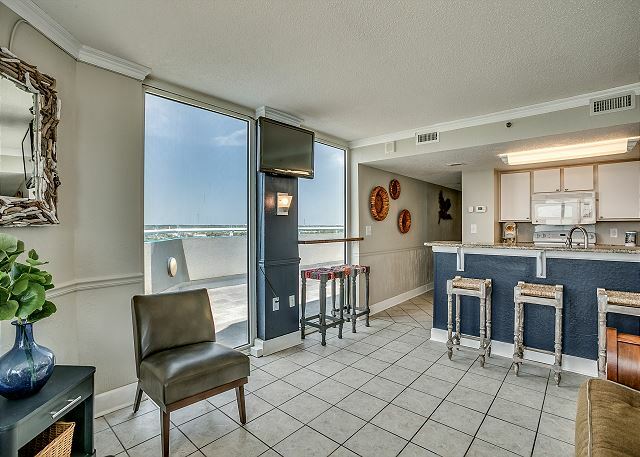 Free Parking and wireless internet. 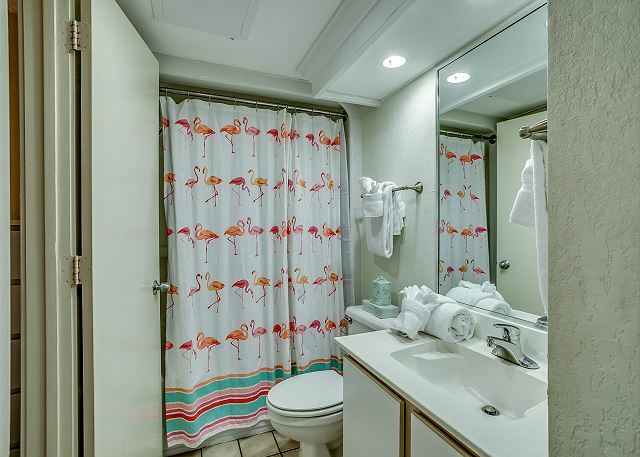 Atlantica Resort offers numerous amenities! 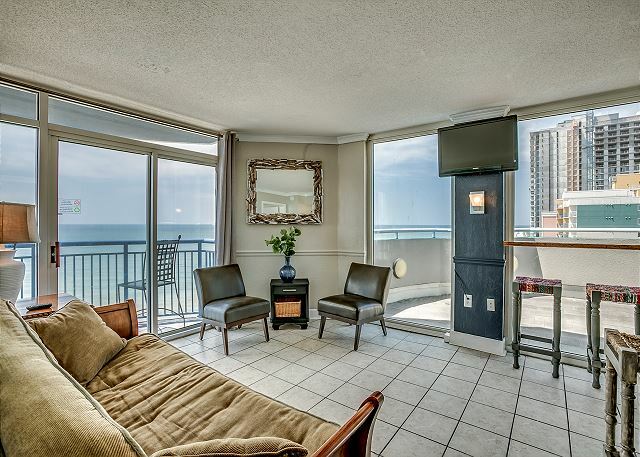 Enjoy a large oceanfront pool and deck conveniently located only an elevator ride away. 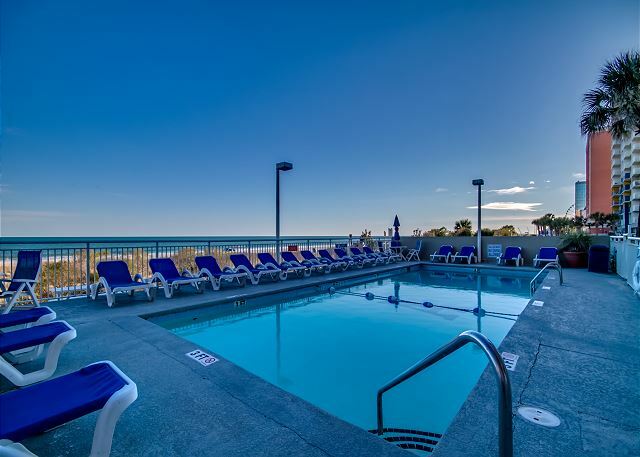 Or lounge in the outdoor lazy river, relax in the indoor or outdoor hot tubs, or take a dip in the indoor swimming pool that has a beautiful waterfall at the Atlantica II building; only a short walk away. 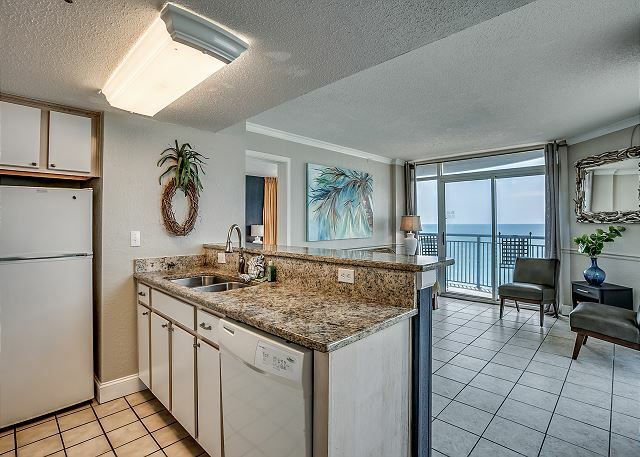 There is a large sundeck,furnished with plenty of lounge chairs and a kiddie pool. 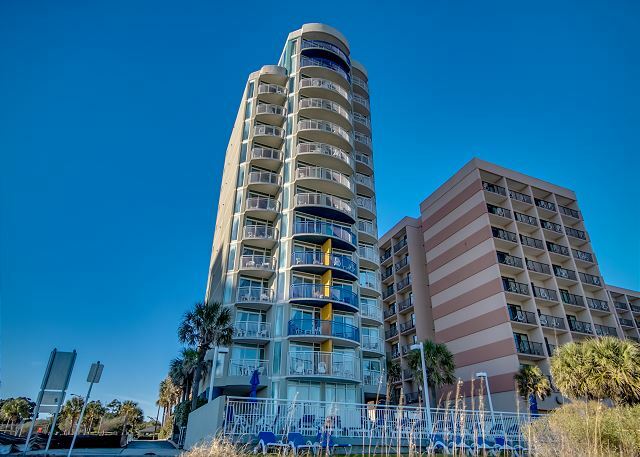 Atlantica is centrally located to all of Myrtle Beach's great attraction and restaurants. 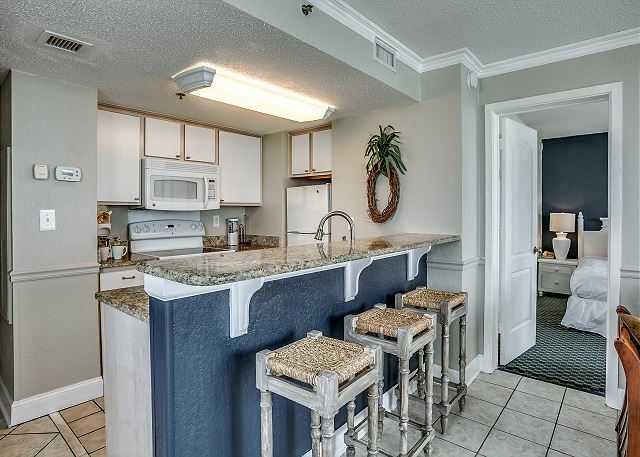 We are short drive to Broadway at the Beach and to the Market Commons shopping area. For those not wanting to drive to dinner, a sushi bar, pizza parlor, 14th Ave Pier, and Banditos, Rip Tidz, Burger Fi, Starbucks. 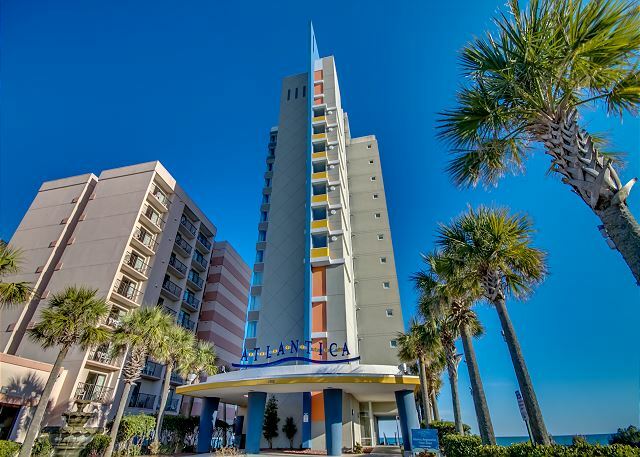 are just a few of the restaurants within walking distance from the Atlantica. 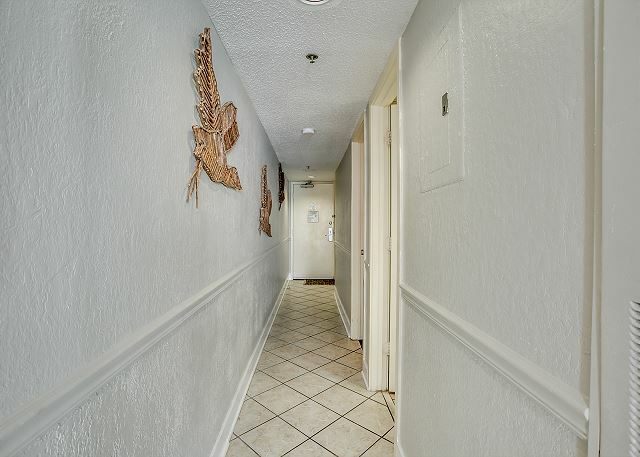 You are also walking distance to the Gay Dolphin, We Love Sugar, Ripley's Haunted House and Believe it or Not! 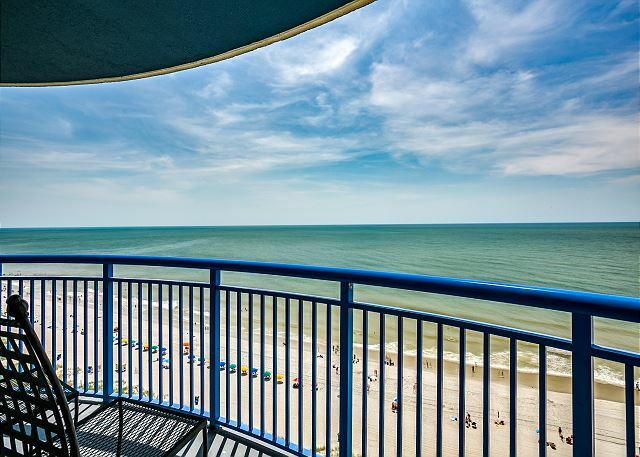 This property rents Saturday - Saturday only from June 8th until August 18th. After August 18th we have a 3 night minimum. 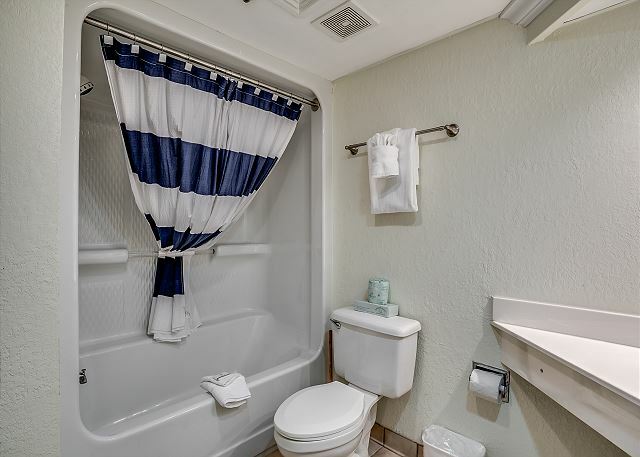 All linens and bath towels are included, except for linens for the futon sofa bed (Queen Size) For your convenience, this home includes WiFi, and parking for 2 cars. There is key less entry. The beds will not be made with sheets, they will be laying on the foot of your bed, you must make your beds upon arrival. This complex is non smoking and does not allow pets.